1) Patrick and Robb discuss game organization, recent expansions, and their preparations for GenCon 2013. 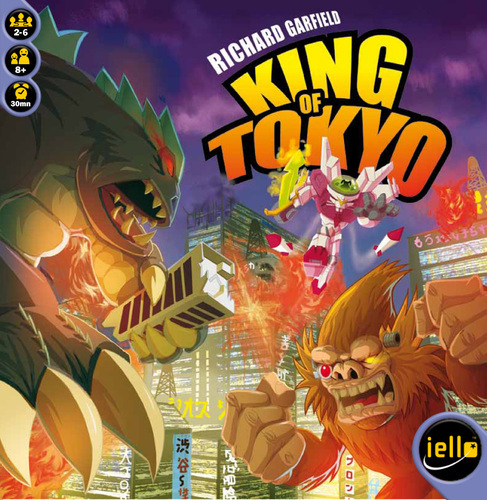 2) The guys and the girls review Richard Garfield’s King of Tokyo, a whimsical, dice rolling game that lets you play vicious mutated monster’s demolishing Tokyo, Japan. 3) The guys and the girls talk about strategy’s for planning and pulling off a boardgame weekend that doesn’t end in anger or resentment. Posted on July 5, 2013 March 4, 2015 by inyourearmediaPosted in PodcastTagged boardgames, comedy, couples, games, hobbies, king of tokyo, relationships.